Stella is recognizing “faces” so she’s really into dolls and plush toys now. 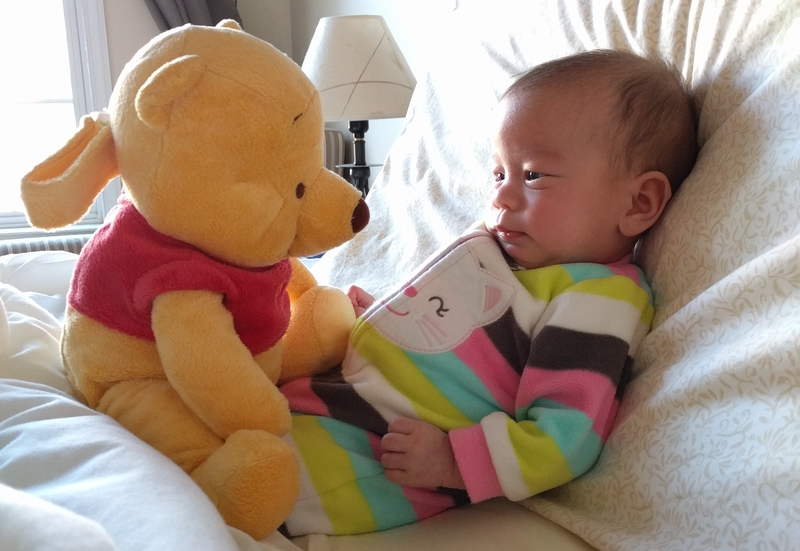 So one morning while getting ready for work, I put Pooh in front of her to keep her calm. It works for a bit.